Google has raised its game in the realm of car OS as it revealed the upcoming Android N that will come with an auto-centric variant equipped with hooks that sink much deeper into cars. Like bees hovering around a fresh blossom, many operating system vendors can hardly wait to get their hands on the sweet spot that the automotive market is offering. For instance, Google has been pushing Android Auto, and Apple has CarPlay. Recently, Googles raised its game as it revealed the forthcoming Android N that will come with an auto-centric variant equipped with hooks that sink much deeper into cars. 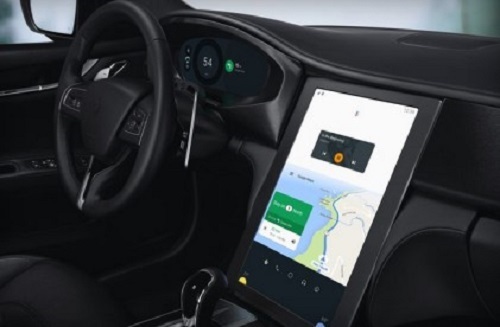 This auto-centric variant of Android N OS, natively running in a car, would allow carmakers to develop infotainment systems that can access heating and air conditioning, AM/FM radio, connectivity and other core functions besides the usual media, navigation and messaging apps. Google showed off Android N on a reference in-vehicle infotainment (IVI) concept system inside a Maserati Ghibli. The system featured a vertical 15in screen, much like the one you find in Tesla today, and high-definition digital instrument cluster powered by Qualcomm's Snapdragon 820 chip. Up until now, Google has not offered "auto-specific middleware to control infotainment systems," said Egil Juliussen, senior director & principal analyst IHS Automotive. The lack of a middleware standard has sent car OEMs and tier ones scrambling for proprietary middleware or some version of Linux OS for IVI systems. Undoubtedly, Android N will give Google a much deeper inroad into the automotive market. It allows Google to offer automakers a range of apps and services from which to choose. More important, when Google does this middleware, "it becomes a standard that will be updated by Google," said Juliussen. "It saves the OEMs from doing so." Ultimately, Google's move will lead to a shakeup of embedded operating systems, especially the growing number of different versions of Linux OS proliferating on the automotive market. IHS predicts Google's move will "consolidate the many Linux OS versions to two: Android N OS and GENIVI-compliant OS (and potentially a Chinese-centric Linux variant, such as YunOS, which is essentially a forked version of Android)." GENIVI is a Linux-based OS, middleware and open-source development platform for the automotive IVI industry, grown out of GENIVI Alliance, founded in 2009 by BMW Group, Delphi, GM, Intel, Magneti-Marelli, PSA Peugeot Citroen, Visteon and Wind River Systems. Juliussen foresees a future OS battle in the IVI market primarily fought among QNX, GENIVI Linux and Android Linux. Meanwhile, Android N OS will "hasten the phase-out of the auto version of Microsoft Windows Embedded and other proprietary OS products," he added. But how will QNX, owned by Blackberry, hold up against Android N? Juliussen observed that QNX is well prepared for an infotainment Android N OS because BlackBerry has developed a software emulation of Android APIs. "This means that QNX can co-exist with Android Auto and Android N OS better than its competitors in most cases," he noted. However, IHS expects QNX's dominant share in infotainment OS to "decline somewhat by the introduction of Android N." The research firm predicts that Android N could reach 35% globally sometime after 2020. Today, Android N isn't the final name, and there is no commercial name for the auto-centric variant of Android N, either. But this could quickly change. IHS pointed out that General Motors and Harman earlier announced a partnership to build Android-based infotainment systems for GM vehicles. "This $900 million (₹5,991.21 crore) contract will bore a new next-generation infotainment system powered by Android by the end of 2016; It's possible that those vehicles will be powered by this Android embedded system," said IHS analysts in their research note. The Google-designed interface will be offered free to automakers. Most likely, OEMs will develop their own HMI, or skin, over the Android N OS. Judging from how Google has changed the smartphone market with Android OS, it could do the same to the IVI market, simply by following the same playbook. No one has measured OEMs' enthusiasm or resistance. But Google is counting on its app store and core services to entice carmakers to go with Android N.
Qualcomm has played a key role working with Google to embed the power of the Android OS into the car. Just as Qualcomm's Snapdragon processors have dominated the Android smartphone market, Qualcomm sees a big opportunity for its auto-grade Snapdragon processors to star in connected cars and infotainment systems. The concept car functions demonstrated at Google I/O used Qualcomm's Snapdragon 820A integrated with CPU, GPU, X12 LTE modem (capable of Cat 12 speeds) and video processing capabilities. Qualcomm believes the creation of infotainment systems using Android as a common platform will make it easier for OEMs and Tier Ones "to add connected services and applications, and accelerate innovation in the car." Google developed Android Auto as a smartphone projection standard. It allows mobile devices running the Android OS, connected over USB or Bluetooth, to be projected on the dashboard's head unit and operated in cars. Now that Android N could do so much more, what will happen to Android Auto? Google announced that Android Auto will work as a standalone app in the car. In short, Google will untether Android Auto from the dashboard, so that an updated Android Auto app can work independently of infotainment systems. IHS believes that this is a right strategy. It means drivers with older cars or no infotainment systems can simply "mount their phone and still get the benefits of Android Auto," the research firm said. Such moves "will dramatically increase the potential market of Android Auto app users, and that with the increased potential customer base, many more apps will be announced for Android Auto," according to IHS. "We expect many of those apps will seamlessly work with Android's IVI OS system, too."